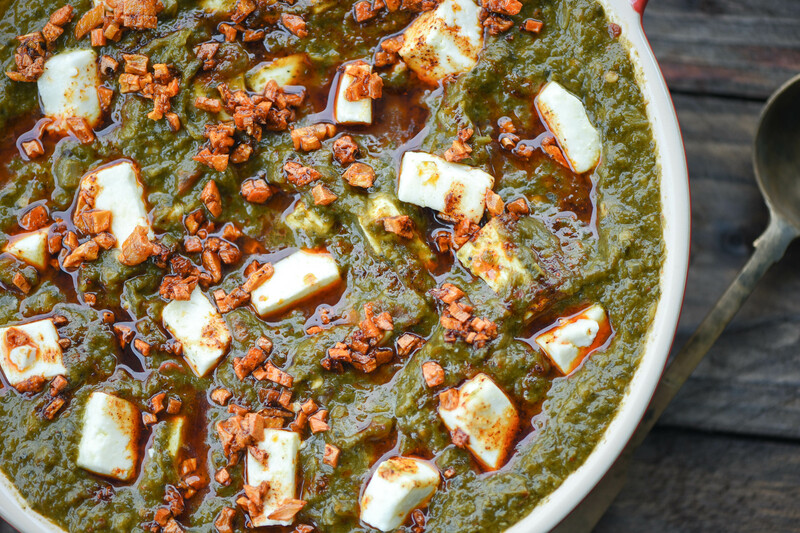 Palak Paneer or cottage cheese cooked with spinach and that to dhaba style… oohhh it is finger lickingly good! I can live on all green leafy vegetables and specially spinach or as we call it palak in India. But when I got married my husband didn’t eat a single vegetable apart from potatoes and he hated all leafy and specially spinach, and I was gutted when I found out (not being overly dramatic but really I breathe leafy vegetables 😉 :D). Palak Paneer literally means Spinach Cottage cheese or to cottage cheese cooked in spinach gravy. So it took me about 5 years for my husband to eat spinach and I tried about 10 different recipes and this one has stuck with me. 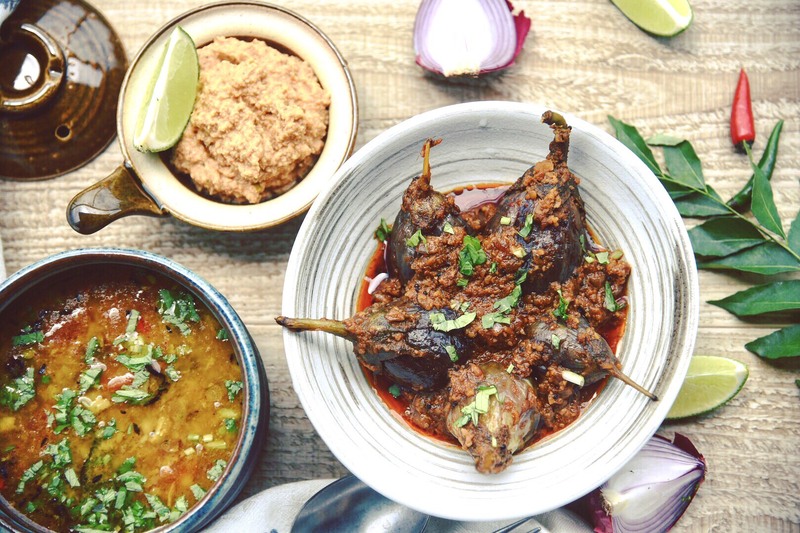 Dhaba food is a road side food specially on highways in India and the food, my god it is delicious and this is my take on this dish using those dhaba food flavours. This recipe is not the one if you are watching calories, it’s rich and buttery. 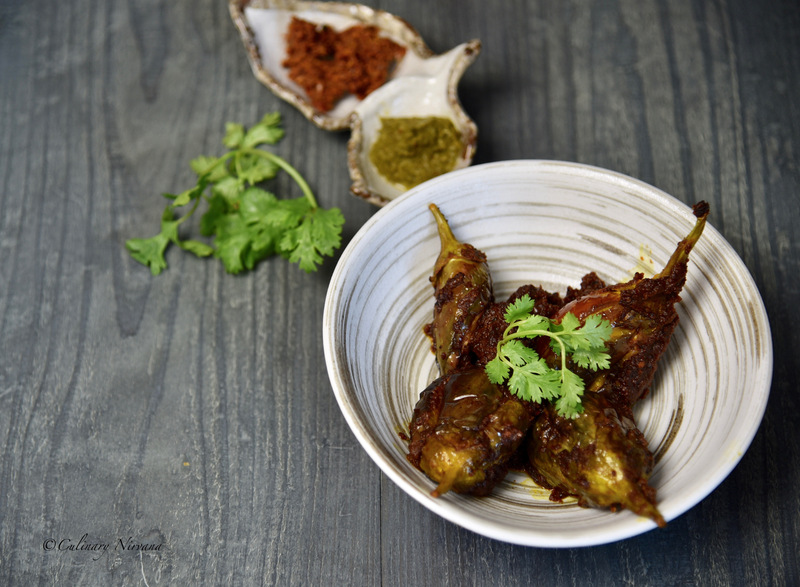 Do give this recipe a try and serve it with freshly made rotis or steamed rice. Soak spinach leaves in salted water for 1 hour. Wash it thoroughly and strain. You can pressure cook them for 3-4 minutes (that’s what I do) or blanch them for 30 seconds. Make a puree and keep it aside. Brown the paneer pieces and keep it aside, this is completely optional. Heat oil and half of the butter with all the whole spices. Add in the onions and sauté till golden brown. Add in the chillies, garlic paste and red chilli powder. Sauté for 2-3 minutes on a very high flame. Add in the tomatoes, black pepper powder, cinnamon powder and continue to sauté for 5 minutes till the oil starts to float. Add in the spinach puree and water, simmer for 5-8 minutes. Add in the paneer pieces, chaat masala and cream. Simmer for 2 more minutes. For tempering, heat rest of the butter. Add in the chopped ginger and garlic. Sauté till golden brown. Sprinkle some red chilli powder and turn the gas off. Pour the tempering over the gravy and serve hot with rotis or steamed rice.